Hellroaring Creek may be the destination, but the suspension bridge over the Yellowstone River and the walk across the sagebrush meadow of Buffalo Plateau are highlights along the way. 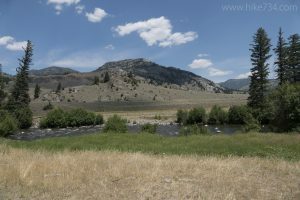 The trail drops down to the Yellowstone River through a mature stand of trees, with views out over the river and across to the broad meadows of the Buffalo Plateau. You cross over a powerful, emerald green, whitewater section of the Yellowstone River on a suspension bridge. There is another section of trees, then the open sagebrush meadow to Hellroaring Creek. The vast meadows offer no shade, so it can get hot. The creek is beautiful and lined with trees. A pond popular with wetland birds, sits right before the creek. 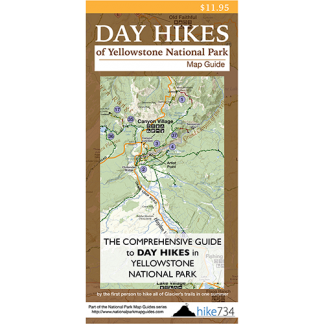 As a bonus, follow the trail along the creek to its confluence with the Yellowstone River. This will add 2.8mi/4.4km to the hike. Trailhead: The signed dirt road for Hellroaring Creek is on the Grand Loop Road, west of Tower Junction. The trail starts at the end of the dirt road.